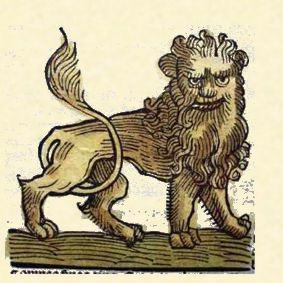 I’ve posted a new translation by John Michael Greer of a passage from the Liber Antimaquis on my web site. The Liber Antimaquis is a Latin translation of the Arabic Kitab al-Istamatis, a medieval book of astrological magic and a source for Picatrix, the most famous grimoire of astrological magic. Similar to Picatrix, the Liber Antimaquis includes both philosophical and practical explanations of astrological magic. In the beginning of this passage, the Liber Antimaquis speaks of “these spirits” and the spirits of the seven regions. By mentioning the planets later and by the fact that the sections immediately before and after the translated portion discuss the spirits of the planets, we can be sure that “these spirits” are the spirits of the 7 planets. So we have our first key point, that the spirits of the planets and not the visible, material bodies, are what is important. This is emphasized as the the Liber Antimaquis says that the spirits of the planets move in their spheres, signs and powers. As the planetary spirits move through their spheres and through the Zodiac, changing in essential dignity, as well as accidental dignity from these movements come “good and evil, fortune and misfortune” to all creatures, all that is created of matter. This is a classic explanation of the role of the stars and planets, as the intermediaries between the purely spiritual and the material. The cycles of the Heavens foretell or control the cycles on Earth, depending on what paradigm you adopted. But the influence of the planets is not equally or promiscuously distributed, instead the people in particular parts of the world, the regions ruled by each planet and depending on the function each person performs, are also ruled by each planet. Finally, Liber Antimaquis says that the planets are assigned to “every man according to the share of intellect he has.” On one hand we could take this as a quantitative measure of intelligence, but I think rather that it has to do with the different thought processes and thinking typified by each planet. What is the mechanism for this influence exerted by the planets? The Liber Antimaquis explains that the powers (“virtues”) of the planets are embodied into souls and the natures and complexions of the planets run into and are conjoined with souls. Ok, to moderns this is somewhat confusing. Soul, spirit, virtue, complexion, have all changed their meaning since the Renaissance. Let’s begin to see some connections by looking at the macrocosm, the Great World of the Cosmos and the microcosm, the Little World of each individual. 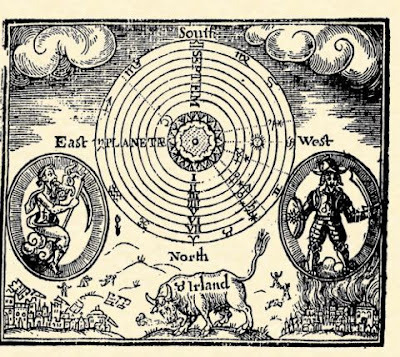 As Agrippa notes in his Three Books of Occult Philosophy, the cosmos can be seen as having a three fold structure of the Material World, Divine World and Intermediate Celestial World. In the individual these correspond to the physical body, the divine spirit and the intermediate astral body. 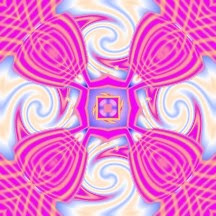 Sometimes the divine spirit is called soul and sometimes this term is used for the intermediate spiritual body, referred to in other traditions as chi or prana. So the astrological spirits, themselves intermediary, are connected to the intermediate astral body. Their powers are their natural qualities, their nature. This is in a sense an active influence, but also like the warmth of the Sun or coolness of a breeze, simply an expression of the basic nature of these spirits being what they are. So now we again have a differentiation of the planets, whose powers are different depending on a person’s nativity. As I read this it is not saying, for example, that if Saturn rules the 7th in your natal chart, that Saturn can be used as a love talisman for you. Saturn’s power is his nature which is not changed by the time of your birth, rather the question is how apt are you to accept this nature? The natural power of Saturn will descend strongly, moderately or perhaps only a little, if Saturn is strong, moderate or weak in your chart. In discussing astrological magic, Picatrix says, “…workings were more certain if the planet was strong in the natal chart of those people who performed the working.” Picatrix Bk I ch 5. And paralleling the Liber Antimaquis Picatrix says of a Jupiter ritual, that the spirit of Jupiter “will reach out to him…especially if Jupiter is strong in his nativity.” Picatrix Bk III ch 8. “Reaches out to him” encapsulates very nicely the sense of the astrological spirits as personalities with a specific predisposition to each individual and really shows the underlying devotional focus that guides my interactions with the celestial spirits. First, let me say that there are obviously many different types of talismans and many different approaches to them. We are only dealing with astrological talismans here, talismans that are ensouled with astrological spirits. Also we are working in a very traditional Western, pre-1700 context. Even traditional astrologers had different paradigms for how astrology and astrological magic worked. Al-Kindi, for example, wrote a book called On the Stellar Rays that attributed the power of the planets, and in fact, all things to the fact they emitted spiritual rays. Mind you these are not x-rays, or light or some other form of matter and energy, these are spiritual rays, but this is a very congenial explanation for moderns. The second approach is that epitomized by Plotinus, who writes in his Enneads "Are the Stars Causes?" Ennead II, Tr 3, that the stars are not causes, but since all things are part of the One, one can read events through the stars. In other words the cycles of the planets and stars very clearly indicate the underlying spiritual cycles that govern all material things. Finally, the third traditional approach, might be termed the magical approach. Here the spirits of the stars, planets, etc., are seen as spiritual entities, with personalities that can be interacted with. All of these traditional approaches interacted and overlapped. Picatrix, in particular, mentions all three at various points. As a predictive astrologer, I tend towards the second approach, of the common cycles of Heaven and Earth, but as an astrological magician, I am increasingly pulled towards the third, the magical approach. In fact, I could take this a bit further and say that my approach is increasingly that of a celestial priest. When you go to a temple or shrine in Japan, for example, you can buy talismans which the priests have created/consecrated. Talismans aren’t their primary purpose, the function of the priests, however, more devotional and more focused on serving the spirits and assisting people in their spiritual path. This is certainly the direction I would like to move in. Ok, so following the magical approach, what is it that we do when we create a talisman? Where does its power come from? Magical power in Chaos magic, therefore derives from the individual, a very modern attitude! Traditional astrological magic is based on a worldview where, while an individual has their own personal magical power, most magical powers lie outside the individual. Cornelius Agrippa, in his Three Books of Occult Philosophy, speaks of three worlds, the material, the celestial and the divine world. Astrological magic, therefore comes from the celestial world, intermediate between the material and divine. Using our third traditional approach, therefore, the power of astrological magic comes from the astrological spirits. Picatrix says, “By sages, magical images are called talismans…To work victoriously he makes it with mathematical proportions and influences, and uses celestial writing. These images are made from their proper substances in order that they might receive the aforementioned influence, and this is done at appropriate times. By suffumigation they are strengthened, and spirits are drawn into these images.” Picatrix Bk I ch 2. Let’s examine this a bit further. How is it exactly that spirits are drawn into talismans? One way is epitomized by the Goetia and similar grimoires, which command the spirits and use superior power, often divine names and the will of the magician to imprison the spirits. I follow a different, more devotional approach. Similarly Ficino speaks of making talismans working with the Anima Mundi, the Soul of the World, as a collective spirit containing all of the celestial spirits through, “daemons [spirits] being attracted and gifts from the ensouled world and from the living stars. Again let no man wonder that Soul can be allured as it were into material forms, since she herself has created baits of this kind suitable to herself, to be allured thereby and she always and willingly dwells in them. There is nothing in this whole living world so deformed that Soul [of the world] does not attend it, that a gift of the Soul [of the world] is not in it. Three Books on Life, Bk III ch 1. Astrological spirits ensoul our talismans because the talismans are made at the correct time for the spirit, are of appropriate materials, images and designs and because we very politely and repeatedly request that they enter the talisman. Finding our request fitting and proper, they ensoul the talisman.